This Policy applies to Royal Pacific. This Policy addresses personal information about identifiable individuals and does not apply to the information collected, used or disclosed with respect to corporate or commercial entities. This Policy applies to Royal Pacific Realty Group. This Policy addresses personal information about identifiable individuals and does not apply to the information collected, used or disclosed with respect to corporate or commercial entities. 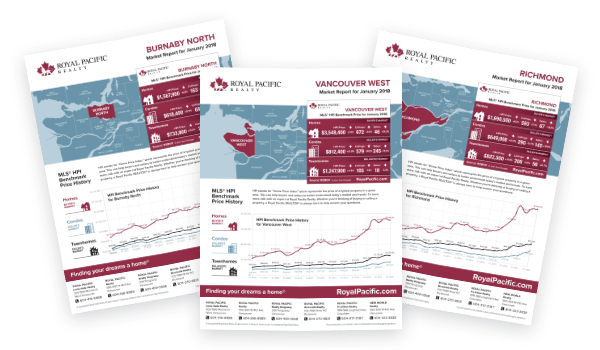 Royal Pacific Realty Group has designated a Privacy Officer who is responsible for Royal Pacific Realty Group’s compliance with this Policy. The Privacy Officer may be contacted as described below. When collecting information, Royal Pacific Realty Group will state the purpose of collection and will provide, on request, contact information for the Privacy Officer who can answer questions about the collection. Most personal information is collected directly from you through the various contracts and other documents you complete (for example,. Multiple Listing Contract, Contract of Purchase and Sale, Property Disclosure Statement), and through discussions with your REALTOR®. Some information may be collected from other sources such as government departments and agencies (for example Land Title Offices, B.C. Assessment). Your information may be disclosed to (or accessible by) various Real Estate Boards in British Columbia and their staff and members, other REALTORs and their clients, government departments and agencies, financial institutions, legal advisors, service providers, the British Columbia Real Estate Association, the Real Estate Council of British Columbia, the Canadian Real Estate Association and members of the public for the purposes described below. Not all of your information will be accessible by each of these entities. For example, once the listing term has ended, the general public will not have access to your information unless it is otherwise accessible through public registries such as the Land Title Office or BC Assessment. Allowing members of Real Estate Boards (including REALTORS and appraisers) to: Appraise your property. Listing your property in the Multiple Listing Service® system in order to market your property. This purpose does not apply if your listing is an exclusive listing. Marketing your property for sale through any other media (both print and electronic). Helping you locate a suitable property to purchase. Facilitating the purchase and sale transaction (by cooperating with financial institutions, legal advisors and government departments and agencies). Complying with codes of professional conduct and ethics for members of Real Estate Boards. The above collections, uses and disclosures are a necessary part of your relationship with your REALTOR® and Royal Pacific Realty Group. Your REALTOR® may communicate with you to determine whether you require additional real estate services. Your REALTOR® may communicate with you to provide information about other products or services which may interest you. You may instruct Royal Pacific Realty Group to refrain from using or sharing information in the two ways described above under “other uses” at any time by providing written notification to Royal Pacific Realty Group Privacy Officer. Royal Pacific Realty Group acknowledges that the sharing of information in the two ways described above is at your option and you will not be refused services merely because you advised Royal Pacific Realty Group to stop using or sharing information in these ways. When personal information that has been collected is to be used for a purpose not previously identified, the new purpose shall be identified prior to use and consent for same shall be obtained from you unless the use is authorized or required by law. Royal Pacific Realty Group reasonably expects that obtaining consent would compromise an investigation or proceeding. Consent may be provided orally, in writing, electronically, through inaction (such as when you fail to notify Royal Pacific Realty Group that you do not wish your personal information collected/used/disclosed for various purposes after you have received notice of those purposes) or otherwise. You may withdraw consent at any time, subject to legal, contractual and other restrictions, provided that you give reasonable notice of withdrawal of consent to Royal Pacific Realty Group. On receipt of notice of withdrawal of consent, Royal Pacific Realty Group will inform you of the likely consequences of the withdrawal of consent, which may include the inability of Royal Pacific Realty Group to provide certain services for which that information is necessary. Royal Pacific Realty Group will not collect information indiscriminately and will limit collection of information to that which is reasonable and necessary to provide services and which is reasonable and necessary for the purposes consented to by you. Royal Pacific Realty Group will also collect information as authorized by law. Royal Pacific Realty Group will keep personal information used to make a decision affecting you for at least one year after using it to make the decision. Royal Pacific Realty Group will destroy, erase or make anonymous documents or other records containing personal information as soon as it is reasonable to assume that the original purpose is no longer being served by retention of the information and retention is no longer necessary for legal or business purposes. Royal Pacific Realty Group will take due care when destroying personal information so as to prevent unauthorized access to the information. Royal Pacific Realty Group will make a reasonable effort to ensure that personal information it is using or disclosing is accurate and complete. If you demonstrate the inaccuracy or incompleteness of personal information, Royal Pacific Realty Group will amend the information as required. If appropriate, Royal Pacific Realty Group will send the amended information to third parties to whom the information has been disclosed. When a challenge regarding the accuracy of personal information is not resolved to your satisfaction, Royal Pacific Realty Group will annotate the personal information under its control with a note that the correction was requested but not made. Royal Pacific Realty Group protects the personal information in its custody or control by making reasonable security arrangements to prevent unauthorized access, collection, use, disclosure, copying, modification, disposal or similar risks. investigative measures where Royal Pacific Realty Group has reasonable grounds to believe that personal information is being inappropriately collected, used or disclosed. You have a right to access your personal information held by Royal Pacific Realty Group. Upon written request and authentication of your identity, Royal Pacific Realty Group will provide you with your personal information under its control, information about the ways in which your information is being used and a description of the individuals and organizations to whom that information has been disclosed. Royal Pacific Realty Group may charge a reasonable fee for doing so. Royal Pacific Realty Group will make the information available within 30 days or provide written notice where additional time is required to fulfill the request. In some situations, Royal Pacific Realty Group may not be able to provide access to certain personal information (e.g., if disclosure would reveal personal information about another individual, the personal information is protected by solicitor/client privilege, the information was collected for the purposes of an investigation or where disclosure of the information would reveal confidential commercial information that could harm the competitive position of Royal Pacific Realty Group). Royal Pacific Realty Group may also be prevented by law from providing access to certain personal information. Where an access request is refused, Royal Pacific Realty Group will notify you in writing, document the reasons for refusal and outline further steps which are available to you. Royal Pacific Realty Group will, on request, provide information regarding its complaint procedures. Any inquiries, complaints or questions regarding this Policy should be directed in writing to Royal Pacific Privacy Officer.